In this tutorial, we will draw a comparison between iCloud and Dropbox. You can decide for yourself which one is better, iCloud or Dropbox. 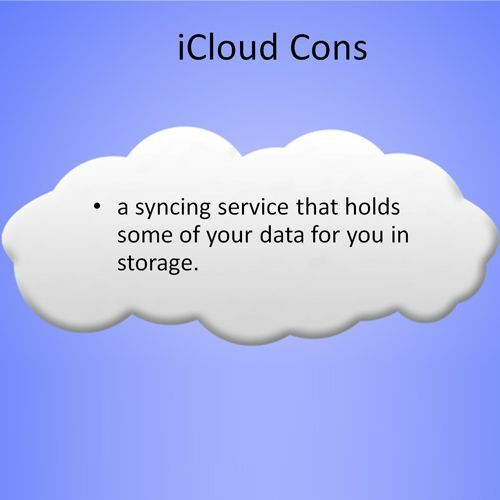 Let us consider the pros and cons of iCloud first. iCloud is a free service for all iphone, ipad, ipod and Mac users. Apple offers 5 GB of free storage. When you download music from iTunes store on your Mac, you can enable downloading to your other devices. As far as the drawbacks are concerned, iCloud is more of a syncing service and you can’t use it to stream your tunes or photos. You could be paying twice for the same thing that you have already stored on iCloud. 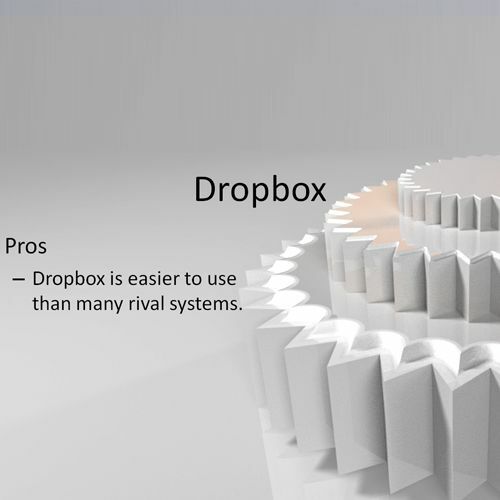 Now we will analyze the pros and cons of dropbox. Dropbox is far more easier to use and set up than most of its competitors. The cons of dropbox are that it is not efficient when it comes to collaborative work. If multiple users are using it at the same time, there are chances that it might create conflicted copies. Furthermore, there can be delays in the syncing of files. Now we will compare the two: iCloud and Dropbox. As far as the storage is concerned, iCloud is ahead of dropbox. iCloud offers 5 GB of free storage while Dropbox only offers 2 GB. Dropbox is preferred by users who have been working on computers for a long time while iCloud is popular amongst users who use tablets and phones. iCloud is phasing out the old file system and giving way to a whole new level of file management. If you want to know which one is better, the answer varies from user to user. 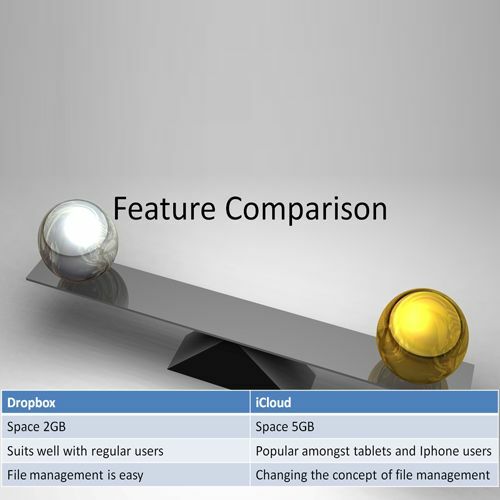 These were the major differences between iCloud and Dropbox.